I proudly work in public education. I love what I do, and I work with some of the most passionate, caring, selfless, hard working people on the planet. I'm proud of my school district, and I am honored to work alongside the people that all contribute to educating our young people, despite increasingly stressful and difficult working conditions. Our daughters have all had wonderful, talented, and passionate teachers. Mrs. Roach, Mrs. Wick, Mrs. Kilbourne, Mrs. Walker, Mrs. Still, just to name a few. We are so grateful to have these dedicated educators in our district. But there is one teacher I'd like to shine a spotlight on, if I could. Gia just completed her first year in an American school while figuring out her first year in the United States after spending 8 years of her life in an orphanage in Shijiazhuang, China. Gia was so brave as she joined our family a year ago, but we knew there would be many challenges when we got back to the USA. Gone were the familiar smells, sights, sounds, and language. Gone were familiar faces of teachers, nannies, and friends. Gia was so brave that it inspired us, but Amy and I were still quite anxious and prayerful. All of this would have been plenty for a young girl to take on, but then add the fact that the school she was shown, and pointed out daily, all Summer, was not going to be her school for a while. She would be taken to another school, Kellogg Middle School, while her "real" school was being repaired. The first day, all 230+ students at Sunnyside Elementary were in the gymnasium of Kellogg Middle School, and even I was overwhelmed. That's right, the 43 year old who has lived here my entire life, recognized many familiar faces, and understood the language being spoken, was completely overwhelmed. Brave little Gia had 2 or 3 tears that streamed down her perfect cheeks, but her bravery was still evident. 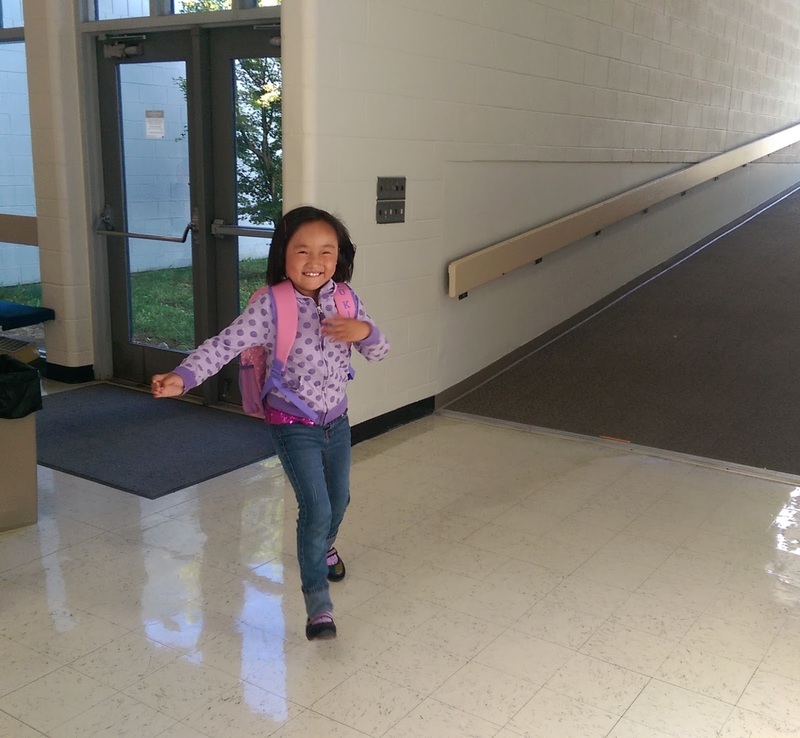 Enter Gia's teacher for this school year, Mrs. Stern, who had met with us weeks before hand, and had willingly, and bravely taken on the challenge of having a non English speaking girl, with special needs, in her classroom. From the moment Gia was able to see and start to talk with Mrs. Stern, you could see her confidence and assurance skyrocket. We went into Mrs. Stern's temporary classroom at KMS, which still had the feel of a safe place to learn, thanks to Mrs. Stern's experience and calm demeanor. This dad had tears in his eyes when he got one last hug from Gia the Brave and watched her take Mrs. Stern's hand to step into the journey of a lifetime. Even from the first week, we could see progress in Gia's confidence and happiness in her new surroundings. The language was still foreign, the students still strangers, but Mrs. Stern was exactly what Gia needed. After a 1st week of ups and downs, I will never forget the look on Gia's face when I came down the hall of her temporary classroom, to pick her up. (her classroom was in the same building as my office.) She had a smile a mile wide and a spring in her step like she had just conquered the world. Once again, this dad fought back tears of gratefulness and happiness. I won't give you a play by play of the entire school year because there would be too much to share. But I wanted to highlight something that has impacted me, and still impacts me today. There is much debate about ways to "improve" or "reform" public education. Technology, accountability, differentiation, highly qualified, adequate yearly progress, the list and the accompanying debates go on and on. However, I happen to feel quite strongly that there is one ingredient in education, that simply cannot be debated or substituted: authentic relationship. You see, you can know your subject matter inside and out. You can have a PhD in education. But none of that matters if you can't connect, and have rapport with your students. Conversely, even if you may not be the most knowledgeable in a particular subject, or have standardized test (yuck) scores that "prove" how great of a teacher you are, if your students know you truly care about them, the other stuff is of little consequence. 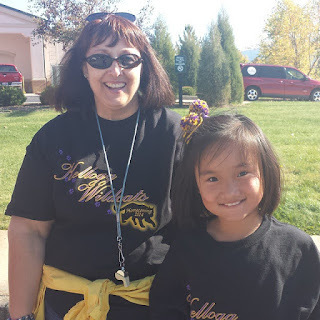 Mrs. Stern genuinely cared for her students, and Gia, and it showed. Yes Gia made academic progress that made us marvel. Mrs. Stern "differentiated" (Education buzzword alert!) for Gia all year long. She went the extra mile to give Gia the individualization she needed. That was all pretty outstanding. But there was a more important area in which Mrs. Stern excelled. Yes Gia was learning lots, but the progress she made as a person, was nothing short of amazing. Thank you Mrs. Stern for being exactly what Gia needed, someone who genuinely and sweetly cared for every part of her development and experiences. I don't know what your classroom "data" shows, Mrs. Stern, but the data I see, the un-measurable data, is off the charts. You have impacted this brave little girl so much, she talks about you every day. She mentions you as often, if not more often than her best friend she had to leave in China, a year ago. 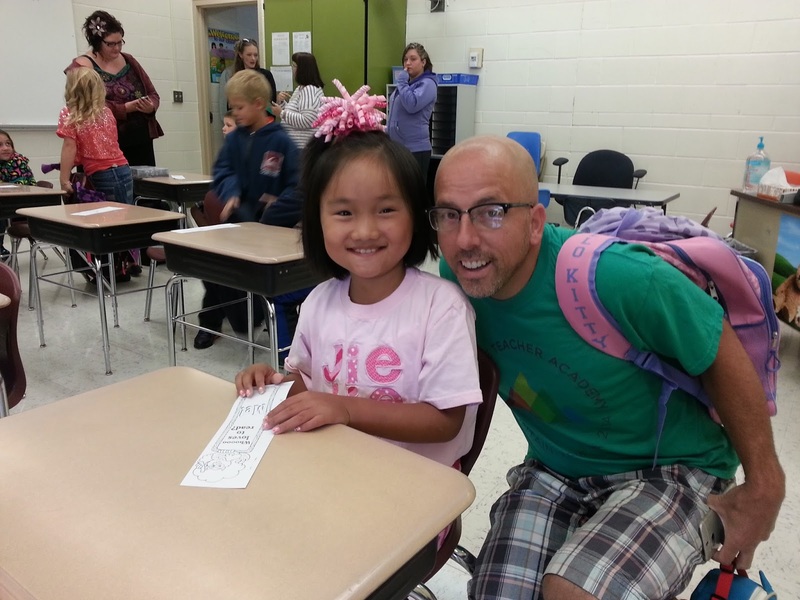 Gia loves school, and she loves helping others. I fully believe that much of this is because she had a teacher who modeled this for her throughout the school year. Thank you Mrs. Stern, for bravely accepting this challenge, and for making a lifelong impact on our daughter. As you move on from our district, know that this family will miss you dearly, and will be forever grateful for all you have done. Someday maybe public education will go back to supporting, appreciating, and rewarding teachers for everything that they do for kids, not simply how their students score on a test. But until then, just know that we acknowledge teachers like Mrs. Stern, who have relationships with students and make a lifelong impact. Thank you for the lifelong reminder, Mrs. Stern. This warms my heart so much. Mrs. Stern is an incredible teacher, the district had lost a very big asset. Mrs. Stern gave not only her time but she gave her heart. Her wisdom and experience will be missed.....it will be hard to fill her shoes. I echo Miss Wick's comment...We knew when we hired Glenda that caring and being child-centered were prominent parts of her "teacher tool belt". I made a point of telling her the last day for teachers how proud I was of what she accomplished during her time in our district. Your posting makes me doubly proud. May Gia find this quality in all of her teachers. I feel confident that she will. Go, #3G, Go! Miss Wick, great word as well! I also can't believe I left your name off that list! I have added it now. We are so thankful you were Gracie's teacher!